Do you want to know how we’re doing as a region in the challenge to NCDs? How exactly do we speed up action? These ‘evidence briefs’, emerging from the Port of Spain Declaration evaluation answer these questions. The document takes each of the six research objectives of the evaluation, buy tramadol buy cod explores them in detail and suggests action points. In the final chapter a draft plan for the way forward is set out. 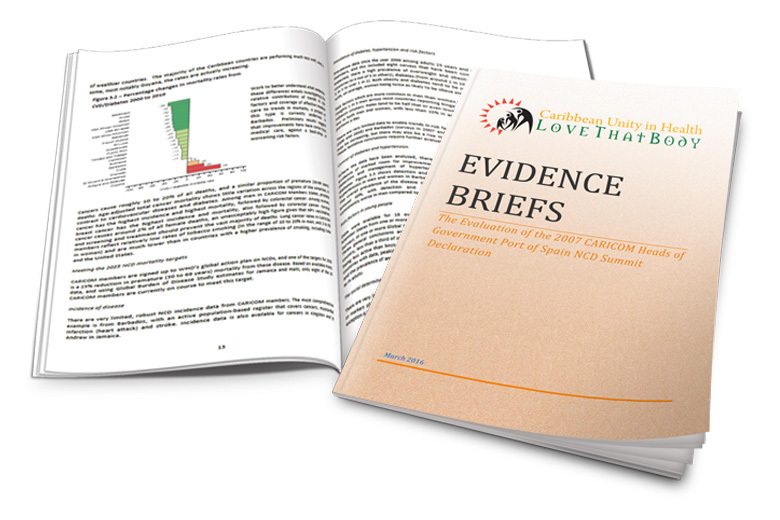 These evidence briefs represent an important stepping stone on the road to a more comprehensive, multisectoral – and effective- response to the Caribbean NCD epidemic.